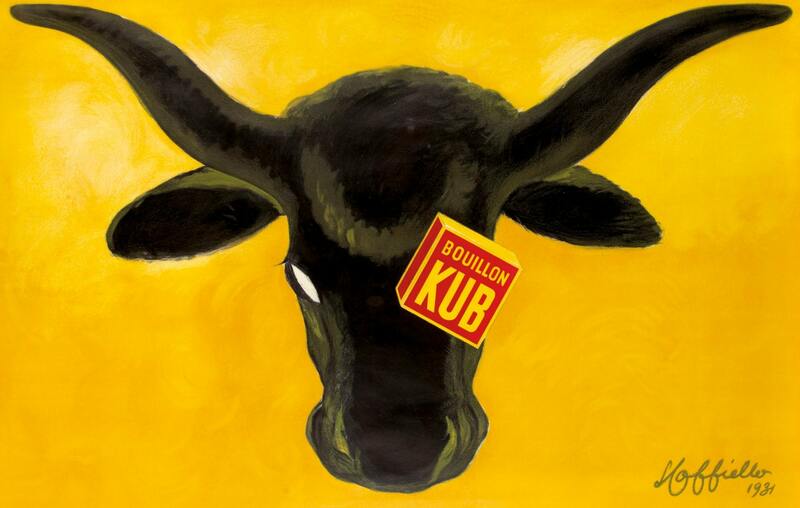 This striking image by Leonetto Cappiello is an advertisement for Bouillon Kub from 1931. The contrast between light and dark and strong silhouette set against unconventional colours is Cappiello's signature style. Along with Jules Chéret and Henri Toulouse-Lautrec, he is viewed as one of the pioneers of poster art. The juxtaposition between the humble stock cube and the menacing bull is powerful yet ironic where our eye is drawn to the glowing white eye of this sinister animal.